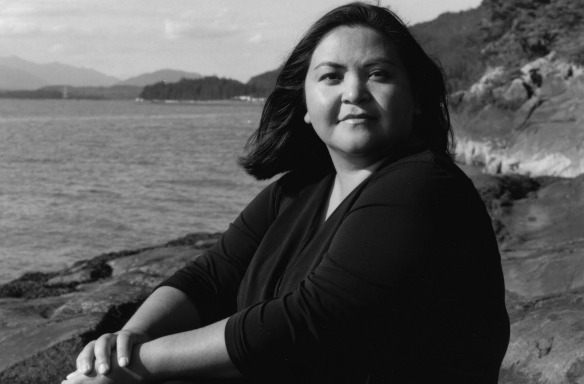 Eden Robinson is an internationally acclaimed author from Kitimat Village, BC. She is a member of the Haisla and Heilstuk First Nations. Her debut book, Traplines, a collection of four short stories, was a New York Times Notable Book and won Britain’s Winifred Holtby Memorial Prize. Her first novel, Monkey Beach was nominated for the Giller Prize, the 2000 Governor General’s Award for Fiction and won the Ethel Wilson Fiction Prize. The novel was also selected as a Globe and Mail Editor’s Choice. It was the first English-language book to be published by a Haisla writer. Her most recent novel is Blood Sports, and her extended essay Sasquatch at Home, first delivered as a talk at the 4th annual Henry Kreisel Lecture, explores modern storytelling through a blend of personal anecdotes and the intricacies of cultural protocol. Eden Robinson has the most contagious laugh on this side of the globe. She shares a birthday with Edgar Allan Poe and Dolly Parton and is certain this affects her writing in some way. Combine these sensibilities with her early influences of Stephen King and David Cronenberg, and it’s natural that Eden’s writing is at once humorous and dark. As a long-time admirer of Eden’s work it was my absolute pleasure to interview her via email. Eden received her MFA from UBC’s Creative Writing Program and is the program’s Virtual Writer-in-Residence for the Fall 2014 term. What moves you to write? You’ve said that your characters have “sprung from your muse.” Can you explain that compulsion? Elisabeth de Mariaffi’s debut story collection, How to Get Along with Women (http://invisiblepublishing.com/?p=30 ), was longlisted for the Scotiabank Giller Prize and shortlisted for the ReLit Award in 2013. Her work has won the Lawrence Jackson Writers’ Award , appearing in the New Quarterly, The Fiddlehead, This Magazine, Prairie Fire and more, and she was one of the masterminds behind the unique Toronto Poetry Vendors project (http://torontopoetryvendors.wordpress.com/). 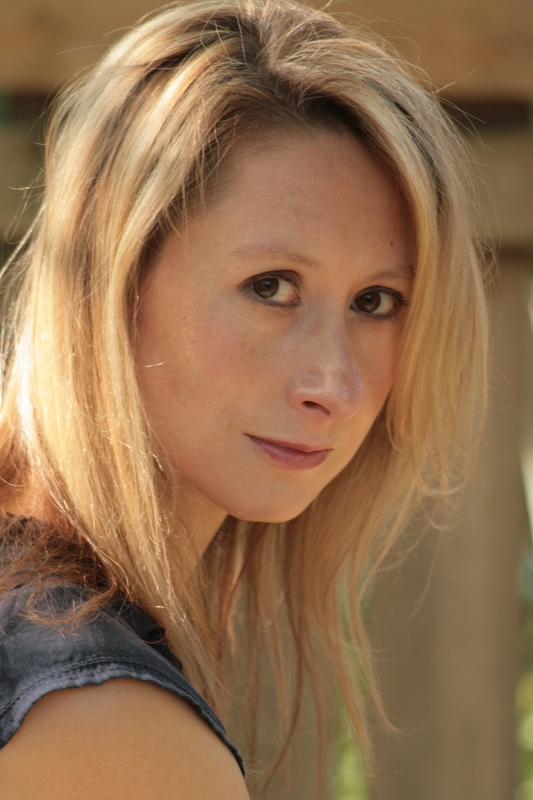 A graduate of Guelph University’s Creative Writing MFA program, de Mariaffi has recently moved from her hometown of Toronto to St. John’s, where she lives with her husband, the writer George Murray (http://georgemurray.wordpress.com/), their combined bevy of children, and one noisy dog. De Mariaffi’s first novel, The Devil You Know (http://www.harpercollins.ca/books/Devil-You-Know-Elisabeth-De-Mariaffi/?isbn=9781443434744), is a literary thriller set in 90s Toronto and will be available in January 2015. I was fortunate enough to meet Elisabeth when she visited UBC earlier this year and read How to Get Along with Women shortly thereafter. It’s an incredible collection—sharp, intimate, and wry. I reached her through email at her home in St John’s. Let’s start with something easy: what is your current day job? Besides financial stability, how have your day jobs affected your written work? Right now I’m the marketing coordinator at Breakwater Books, an indie publishing house here in St. John’s. I’ve been at it since 2012, and for the first two years it was a full-time gig—now we’ve split it into a job-share, where I handle mainly publicity (rather than sales) and only work two and a half days a week. The thing about day jobs, at least for me, is that they are really mainly about financial stability and if I stop and think about it too much, the effect on my writing feels mostly like, “I get to write less,” and that’s a bit depressing and counter-productive. Having said that, there are real pros to day jobs, beyond finances. I once spent a year working as flight crew. I was a purser on Porter Air, which means I’m the flight attendant who stands up front and tells you what to do and is basically in charge of the cabin. Ninety-five percent of the training for that job is emergency evacuation scenarios and drills, which is stellar if you have a loopy imagination. You travel all the time, you’re constantly out of your element, which I think is good for the interior life of the writer. And mid-flight, you’ve got a ton of time to stare out the window at the clouds—also good. But did I use all that time in strange hotel rooms to write? I did not. I was very tired from flying and I just wanted to go have a beer. Writer, game designer and cad, Richard Dansky was named one of the Top 20 videogame writers in the world in 2009 by Gamasutra. His work includes bestselling games such as TOM CLANCY’S SPLINTER CELL: CONVICTION, FAR CRY, TOM CLANCY’S RAINBOW SIX: 3, OUTLAND, and SPLINTER CELL: BLACKLIST. His writing has appeared in magazines ranging from The Escapist to Lovecraft Studies, as well as numerous anthologies. The author of the Wellman award-nominated VAPORWARE, he was a major contributor to White Wolf’s World of Darkness setting with credits on over a hundred RPG supplements. Richard lives in North Carolina with his wife, statistician Melinda Thielbar, and their amorphously large collections of books and single malt whiskeys. I know Richard through the IGDA (International Game Developers Association) Writers Special Interest Group forum, and we first met at the Game Developers Conference. This is a hybrid phone/e-mail interview. It started on the phone, but my recording device broke and I couldn’t record it, so I thought I’d type as we spoke, but that didn’t work out so well. Richard was kind enough to fill in the gaps via e-mail. He’s a swell guy and an awesome writer, whose work I’ve admired for a good long time. Can you describe what a video game writer does?